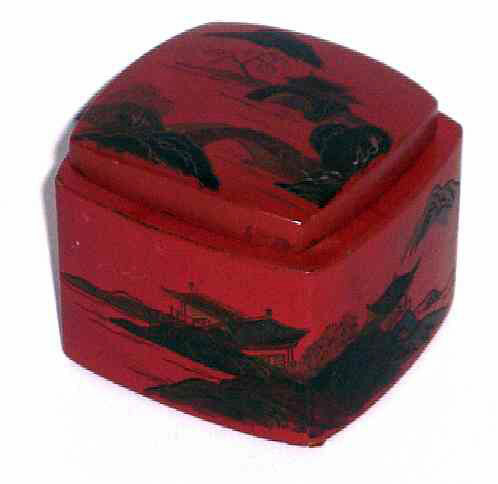 Presented here, a fine, heavy-walled lidded Japanese Red Lacquer Inkwell with raised Lacquer designs. Size is 3" square x 2-1/2" high. Condition is very fine and inkpot is intact.